Dragon Tails are short stories that are intended to give the reader background into a character or event that takes place in one of my books. They also provide insight into the world of Athule. Dragon Tails are provided to increase your enjoyment and add to what you will find in these books/series. Some of the Dragon Tails may include a podcast of the story as well. Enjoy the stories and Subscribe to this website to be notified of future Dragon Tails. Your e-mail address will NOT be shared. The Unworthy Priest One of the major conflicts in the Dragon-Called series is between the philosophy of the Clerics and the Shin-il Priests. How did one of the Shin-il Priest, Bat-Uul start his life in this religious order. 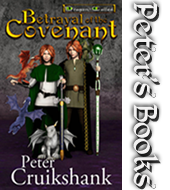 It’s Twins In the Dragon-Called series, how did the Twins come to the Kingdom of Cainwen and under the custody of their father, the Crown Prince? Was Dougal always the twins’ Protector? Read on. 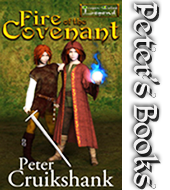 The Trouble with Willoe Chapter 1, Cousins, was not originally the first chapter in the Fire of the Covenant’s draft. This Dragon Tail was part of the first chapter at one time, but cut in the final release—though I think it was interesting information/dialogue. A Rich Man’s Son Everyone loves Cleric Yoan, but how did he become a Cleric? Was he always such a devout follower of the Burning Lady? Find out how this all came about.